Naresha works as an Agile Coach at AgileFAQs. He has been developing enterprise software and coaching developers for more than 10 years. He is passionate about learning new technologies, and techniques and applying them to solve business problems. Naresha is the founder organiser of Bangalore Groovy Grails Meetup. 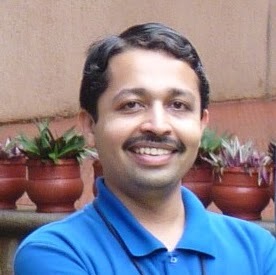 He has been a speaker at several conferences including Selenium Conf, Functional Conf and Grails Conf India, GR8 Conf India, GIDS. He also writes regularly for 'Healthy Code' magazine. Selenium has been here for a long time and more and more teams are embracing Selenium realizing the importance of automated tests, especially in the age of continuous delivery. But Selenium is not a silver bullet either. In this talk, I will present some of the lessons I learned over the years, working on several projects. Ratpack is a light-weight framework for developing web applications and web APIs. It is a Java 8 framework with Groovy DSL support. Ratpack is built on the concepts of asynchronous and non-blocking programming model and lazy by default. Ratpack is also one one of the reactive streams compliant system. In this demo, I will be exploring the power of Promise construct, which is the heart of Ratpack and provides functional programming capabilities.